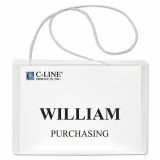 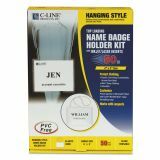 C-Line Name Badge Kits, Top Load, 4 x 3, Clear, Elastic Cord, 50/Box - Garment-friendly badge holders with white elastic cord use no pins, no clips and no adhesives. 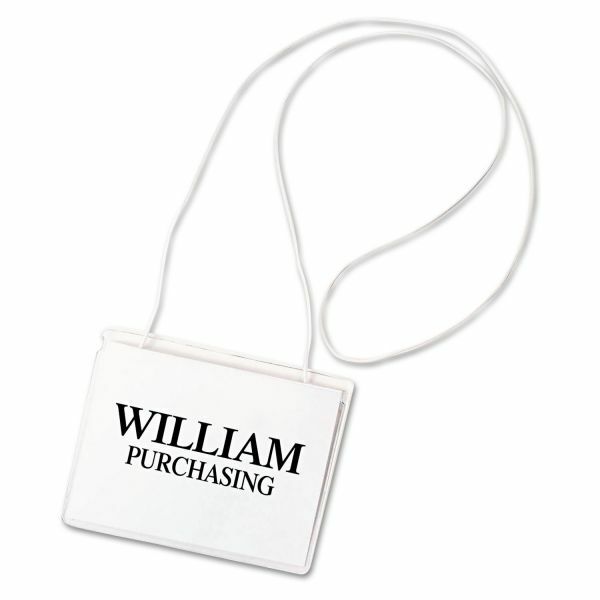 This vinyl convention-size badge is top-loading and sealed on three sides, making it easy to load and use. 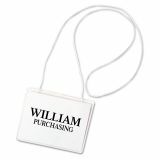 Comes with laser/inkjet compatible white microperforated inserts and printer instructions. 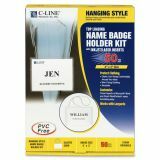 8 mil thickness.